I got my first cell phone in seventh grade. It was colorless and I spruced it up with rhinestones and charms. Fortunately, phones are a lot nicer now, and have become valuable tools we take with us everywhere. It’s no wonder kids want their own cell phones, too. 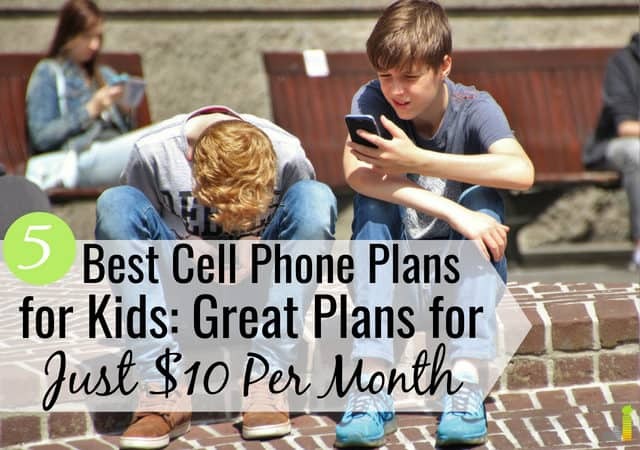 You might be looking for the best cell phone plans for kids that provide a sense of freedom without costing too much money. Plans start as low as $5 per month and you can customize your plan based on how much data or talking minutes your child needs. This allows you to choose exactly what you want without having to pay for something your family does not need. There are several plans that have unlimited talk and text. However, if you know your child isn’t going to be making too many phone calls, you can create a plan that has 200 minutes to talk, free texting, and 500 MB of data for just $10 per month. You can upgrade to unlimited talk and text, plus 1 GB of data for just $4 more – at $14 per month. Republic Wireless is my personal favorite prepaid cell phone company. I’ve been using it for over three years, and it’s also great for kids because the plans are flexible and cheap. You can customize your plan and cancel at any time. Their plans start at $15 per month for unlimited talk and text, which is a great feature. You can also add data for $5 per month per GB of data. 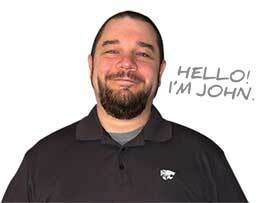 Republic Wireless relies heavily on Wi-Fi to keep costs down for both talking and data. When not using Wi-Fi, Republic Wireless uses the Sprint or T-Mobile network. If your child needs more minutes or data, you can upgrade at any time and pay the difference. Unlimited global texting is free and you can upgrade to unlimited talk for just $15 per month. Twigby also recently added international call function to Canada, China, and Mexico. Twigby also has free overage protection and family plan options for everyone in the household. Check out our Twigby review to learn more about the provider. However, Mint Mobile is unique when it comes to their pricing. They sell plans in bulk or in three, six, or twelve month increments. The pricing is good to start, but when you renew, it can get a bit more confusing as the pricing increases quite a bit. For example, if you choose another three month plan your rate will increase by at least $24 if you choose their 3GB plan. The best way to lock in the lowest price is to sign-up for a 12 month commitment upfront. Xfinity Mobile is a new mobile service offered by the Internet and cable giant Comcast Xfinity. Many have had less than stellar experiences with Comcast, but their coverage map and pricing make them hard to deny as one of the best cell phone plans for kids. Xfinity Mobile is another MVNO and does not own their own wireless network. Xfinity runs on the Verizon network, so you know it’s a reliable network for your needs. You must be an Xfinity Internet service customer in order to qualify for their Mobile service. If you live within their coverage area it’s likely you have them as your Internet Service Provider. Xfinity Mobile lets you bring your own device – only iPhone devices currently (iPhone 5 and later). They do not currently allow you to bring Android based devices, but will in the future. Unless you have an older phone to provide your child, you will need to buy a new phone. Choosing the right kids cell phone can be just as important as choosing a good cell phone plan. 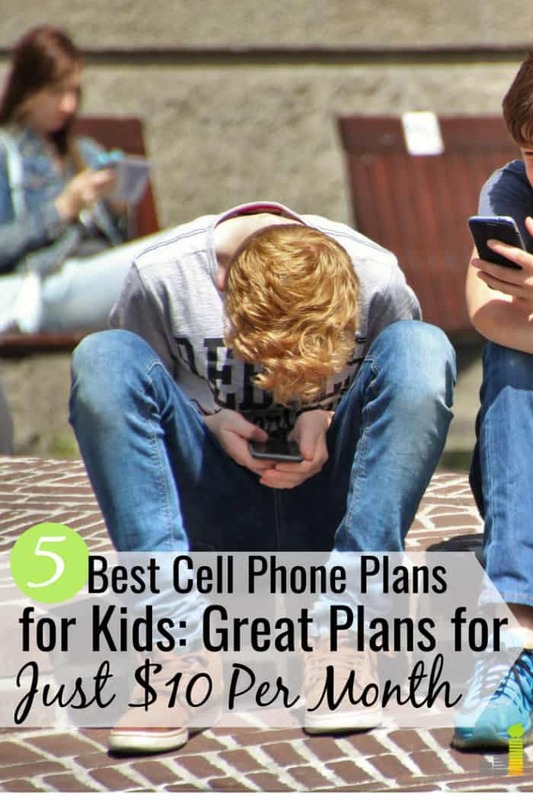 Fortunately, there are many options when it comes to choosing the best cell phone plans for kids. 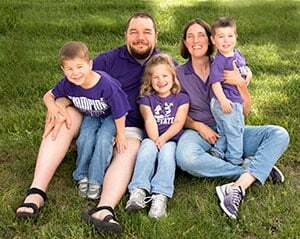 In fact, several of the best cell phone plans for families let you add your child without a significant added cost. I would put my vote behind Tello. Been with them for 2 years now and they have great support / offering. Can change up the service whenever I want and is very reasonable. That’s good to know. I’m glad to hear you like it! Thank you for sharing this. My 2 teens need service and I’m with AT&T, which is expensive even for additional phones. This information will help me. I’m a new subscriber. I love frugal living. Of course Theresa, happy to be of help! I don’t want my daughter to have a smart phone yet. We are thinking about getting her a phone for calls and maybe some texting. What is your recommendation for that?